Here is this week's edition of Latma, including the fable of The Man Who Fled Too Much and the man who can save Likud from right wing fanaticism. More than 130 countries voted on Thursday to upgrade Palestine to a nonmember observer state of the United Nations, a triumph for Palestinian diplomacy and a sharp rebuke to the United States and Israel. Another approach towards addressing how Hamas is given carte blanche to launch missiles and target Israeli civilians without comment or criticism -- until the victim strikes back. "Prospects of a Durable Peace"
U.S. officials are slamming a vote by the United Nations General Assembly to upgrade the Palestinian status at the United Nations to that of a non-member observer state. U.S. Secretary of State Clinton criticized the resolution - which passed with 138 votes in favor, 9 votes opposed, and 41 abstentions - as "unfortunate and counterproductive... plac[ing] further obstacles in the path of peace." In what analysts described as a particularly tough speech, U.S. 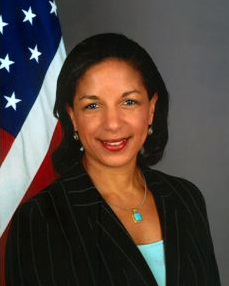 Ambassador Rice insisted that the unilateral Palestinian gambit will cause "the prospects of a durable peace [to] recede." Palestinian officials had pursued the diplomatic move in defiance of President Obama's request to put aside the campaign, which has damaged American diplomacy globally. Today's vote at the UN to upgrade the PLO to a non-member observer state status will do little to change it's actual status at the UN. After all, the PLO already enjoys observer status equivalent to non-member state at the United Nations. There is nothing substantive for the PLO to gain as a non-member observer state. On the other hand, there are risks and potential loss in store for the PLO following its status upgrade at the UN today. Today is the 65th anniversary of the UN General Assembly vote on the recommendation that Palestine be partitioned into a Jewish and an Arab state. This followed the surrender by Britain of the Mandate for Palestine, under which the British were supposed to work for the establishment of a Jewish homeland from the Jordan River to the Mediterranean Sea. The British found themselves unwilling, finally, to cope with Arab violence and resistance to the Mandate and threw up their hands. It was this vote that led, the following May, to Israel's declaration of independence as a state. In solidly rejecting this recommendation, the Arabs rendered the portion of Palestine that could have been an Arab state unclaimed Mandate land. Since 1977, the UN has been observing this same day as "International Solidarity Day with the Palestinian People." It should be noted that the UN observes no other day as a time of solidarity with any other people. For example, there is no official solidarity observed for the Kurds, a legitimate people, residing in portions of Syria, Turkey, Iraq and Iran, who clamor for the independence of Kurdistan. Since 2005, the UN "Committee on the Exercise of the Inalienable Rights of the Palestinian People" has been charged with organizing for this day an exhibit on the rights of the Palestinians or a cultural exhibit. No surprise then that Mahmoud Abbas has chosen this day for bringing a petition to the UN General Assembly regarding a Palestinian state. On Thursday, a week after the Gaza cease-fire between Hamas and Israel, the Palestinian Authority, which controls parts of the West Bank, is scheduled to ask the United Nations General Assembly to upgrade the Palestinian status to nonmember observer state. The 193-member body is expected to approve the application. That support has grown since the Gaza fighting, with France and other European nations declaring their backing for the Palestinian bid — in part as a way to bolster the more moderate Palestinian forces, which recognize Israel’s right to exist and seek a two-state solution. But passage of the resolution — which would allow the Palestinians to try to join the International Criminal Court, where they might be able to bring cases against Israel — would not get the Palestinians any closer to statehood. A negotiated deal with Israel is the only way to ensure creation of a viable Palestinian state and guarantee Israel’s security. There is a notable omission. Why Is FIFI Building Hamas Missile Storage Instead Of A Bomb Shelter For Kids? Very economical: FIFA can rebuild both Gaza's football infrastructure -- and Hamas terrorist infrastructure -- all in one shot. Why Does The Media Choose To Help Publicize Hamas Propaganda Points? Who Is Coming Out To Protest Against Morsi In Tahrir Square? Mr. Collinson President Morsi yesterday appeared to have stuck by his emergency declaration after the meeting with the Egyptian judiciary. Does that deepen the concerns about what’s going on in Egypt that you spoke about yesterday? Carney: ...We believe firmly that this has to -- that this needs to be resolved internally as part of a transition to democracy and the building of institutions that create checks and balances in an Egypt that will be -- that will have, as a government, an entity that is more responsive to the will of the people in Egypt and more democratic. And where we have concerns we raise them, but we also understand that this is an internal Egyptian process. Putting aside the excuses for the US once again standing on the sidelines, Morsi has gotten himself in hot water, just as he and Egypt became the force behind the enforcement of the Israel - Hamas ceasefire. Tissue samples were taken Tuesday from the remains of Yasser Arafat, the longtime Palestinian leader who died in 2004, as part of an inquiry into whether he might have been poisoned, Palestinian officials said. To any sentient person, it is obvious that Israelis are 100-percent justified to protect themselves from wanton attacks. A cartoon from the First Hamas-Israel War of 2008-09 symbolically showed a Palestinian terrorist shooting from behind a baby carriage at an Israeli soldier in front of a baby carriage.The Second Hamas-Israel War of Nov. 10-21 inspired a mighty debate over rights and wrongs, with each side appealing to the large undecided bloc (19 percent of Americans according to CNN/ORC, 38 percent according to Rasmussen). Is Israel a criminal state that has no right to exist, much less to deploy force? Or is it a modern liberal democracy with the rule of law that justifiably protects innocent civilians? Morality drives this debate. Why do we not see this side of the conflict in the mainstream media reports from the Middle East? There is a question mark after "Normalcy" because it's more than a bit difficult to ascertain precisely what "normal" is. But I'm aiming for it, certainly in my own life. Postings will resume their regular frequency -- which means they will be sent often, but not necessarily every day. To my many readers who have written to me in past days, please know that I've done my best in terms of responding. The world at large is definitely "certifiable." But even here in Israel, I think a bit "crazy" is what's normal. And we'll see that as I write today. After the Jayson Blair scandal the New York Times and other newspapers introduced a "public editor." Other newspapers, such as the Washington Post (which calls its public editor an "ombudsman") have had them for longer. The idea behind the public editor is to have someone who outside of the newsroom or editorial offices of the newspaper act as its in-house critic. Presumably someone outside of the newspaper's culture with a non-renewable contract can be a better critic of a newspaper than someone from within. But public editors are usually taken from the ranks of other newspapers. While they may not be part of a given paper's culture, they are still usually taken from newsrooms and editorial offices and are very much a part of the journalistic culture. So rather than representing the public in any meaningful way, they are more likely to explain to the uninformed public why the editors and reporters have much better judgment than their critics. One of the worst and most partisan of these public editors is the current ombudsman of the Washington Post, Patrick Pexton. To make matters worse, internal breakdown has spawned internal opposition. As the PA attempts to enforce its current cease-fire with Israel, Hamas, Islamic Jihad, the Palestinian Hezbollah, Fatah and the Tanzim continue to challenge the PA's authority. In fact, PA Chairman Yasser Arafat is now said to be facing opposition from a number of important aides and advisors. Video: Forget Gangnam Style -- Give It Up For IDF Style! Is Obama's New Plan: Out With Abbas, In With Hamas? In 2009, a very senior European diplomat told me (and some other bloggers) that Hamas, which he characterized as “moderate,” is the party with which Israel must ultimately settle. (The word “moderate” in this context has nothing to do with ideology; rather it means, precisely, the party with which Israel is expected to settle). Why Is Filmaker Of 'Innocence of Muslims' Still Being Scapegoated? I was unsure whether to post this, but noticed the oddly anachronistic article in the New York Times today, From Man Who Insulted Muhammad, No Regret. There is a dispute about how important the video was in provoking the terrorist assault on the American diplomatic mission in Benghazi, Libya, that killed the United States ambassador and three other Americans. Considering the accumulation of information clearly indicating the terrorist attack in Benghazi was premeditated, it is disappointing that The New York Times insists on still pushing a narrative that even the Obama has abandoned. In Morsi's Moment Thomas Friedman got some things right. In other words, is Egypt ready to sacrifice the Camp David peace, U.S. aid and economic development to support Hamas’s radical, pro-Iranian agenda, or not?The answer from Cairo was no. President Mohamed Morsi of the Muslim Brotherhood’s party did not want to get dragged into a total breach with Israel on behalf of Hamas, and instead threw Egypt’s weight into mediating a cease-fire. This is just about right for now. But Friedman can't leave well enough alone. In his most recent video about the Middle East, Pat Condell talks about making peace with Hamas terrorists -- a concept that many in the West continue hold dear for their own reasons, but Condell simply rips to shreds. Elvis gives Obama a history lesson in Islamic Terrorism! Had the IDF gone into Gaza last week, it would not have been for one of the operations I described yesterday with regard to re-taking Gaza either partially or in totality. Did Abbas Give The Order For Israel's Operation Pillar? For those who disregard the provocations of the Hamas terrorists that led to Israel's bombing of Gaza, they will be pleased to know that in undertaking Operation Pillar of Defense, Israel was merely following Abbas's advice. Let’s begin by examining the causes and goals of each side. Mr. Obama told aides he was impressed with the Egyptian leader’s pragmatic confidence. He sensed an engineer’s precision with surprisingly little ideology. Most important, Mr. Obama told aides that he considered Mr. Morsi a straight shooter who delivered on what he promised and did not promise what he could not deliver. My attempts to get a handle on the Gaza situation are serious and earnest. But, as one close associate said to me tonight, "Your problem is that you're trying to do a rational analysis of a situation that is not rational." And oh, is that the case. Every talking head has something else to say. Every Internet sources has different "inside" information. I don't use talking heads as my sources, and not primarily Internet sources providing that "inside" information, either. I try to pick the brains of analysts and those in the know -- as I've explained before, including some who are Arabic speaking. And I have found it very difficult. This, it seems to me, is an important part my report -- to reflect the turmoil that is swirling about this issue, with all its complexities. To say that the dust hasn't settled, and that everyone has a different take. I would like to provide an overview here that, hopefully, will be reasonably clear. Then, in coming days, as new information and perspectives emerge, I will share them with you. Created by TV7 Israel News, this video gives the background on the Hamas terrorist attacks that provoked the operation, as well as giving day-by-by what happened during the operation. Can Morsi Support Israel - Hamas Ceasefire If Muslim Brotherhood Opposes It? It's all very well for Obama to entrust the fragile Israel - Hamas ceasefire to Egypt. After all, Egypt traditionally has been a major leader in the Muslim world. But in this case, we are talking about Egyptian President Mohammed Morsi, member of the Muslim Brotherhood, which is radical, and traditionally anti-American, anti-Jewish and anti-Israel. A BBC reporter demonstrates courageous journalism at its best with a little imagination, Jamil and Awad present new demands to Israel and how we plan to protect ourselves in the future against Hamas rockets. But it's worth wondering how long it will take for Hamas to recover its supply of long-range rockets. It can be difficult to keep up with the Gazan casualties from Operation Pillar of Smoke faked by Hamas. Here is a helpful video that reviews a few of them. I entitled this posting "grim," because this is very much the mood of the nation here. From the right and from the left there is criticism of the ceasefire agreement concluded yesterday. Somewhere in this country there must be someone who thinks this was a good move, but I have yet to encounter that person. Unless there is a huge shift in the situation, it seems that Netanyahu and his Likud party may suffer in the coming election for what has happened. After all the talk of Cast Lead -- the last operation inside of Gaza -- having been terminated too soon, the sense is that this is precisely what happened again here. Elder of Ziyon has a series of posters documenting the various war crimes committed by the Hamas terrorists during the war. This is where much of the media is. Though I think a lot of people in this category end up moving to his second category. One could argue that Hamas won this latest war with Israel -- after all, they survived to fight another day. Well, most of them did. A number of high-ranking Gazan terrorists did not. As the greatest outbreak of Israel-Palestinian hostilities in years unfolds in Gaza, many Israelis are bracing for reaction from the surrounding Arab world. Theories abound, but no one has been entirely sure how the weakening and collapse of Arab autocracies over the past two years will impact the Jewish state. The answer is likely to underwhelm. For over six decades, Israel stood alone as the most vilified antagonist in Arab public life. Governments, media and civic groups singled out the Jewish state as a standing crime against humanity, while glorifying or ignoring mass murderers such as Saddam Hussein and Muammar Qaddafi. Outside observers assumed the Israeli-Palestinian conflict to be such a visceral affront to Arabs everywhere as to account almost single-handedly for their collective political dysfunction. Arab anger toward Israel "weakens the legitimacy of moderate regimes," warned U.S. CENTCOM commander David H. Petraeus in 2010. Take away those "moderate" regimes — such as Hosni Mubarak's government in Egypt — and Israel would presumably be in a world of trouble. In fact, while the Arab Spring has invigorated nearly every other revanchist political cause under the sun, thus far it hasn't unleashed a surge of anti-Zionist fervour. I refrained from posting yesterday because matters were so much in flux. It felt -- with good reason -- as if the situation would have changed before most of my readers even had a chance to see what I had written. And boy, has that been the case! The day began with rumors coming out of Egypt about a ceasefire between Hamas and Israel that would be announced at 9 PM. Not so fast, Mark Regev, the prime minister's spokesman said, we have items still to be worked out. Going on 9 PM, Egypt declared that there would be a ceasefire announcement at midnight. Below is the summary the IDF is giving of its accomplishments in Operation Pillar of Defense. There is only question: Is it enough? It's something to think about while the pundits thrash out what lies behind the ceasefire agreement and what kind of power struggles are going on behind the scenes: both between Obama and Bibi on the one hand, as well as between Hamas and it's terrorism sponsors in Iran and its supposed patron in Egypt's Muslim Brotherhood. Israel Matzav refers to a hebrew article claiming that Obama was willing to back Israel going in and cleaning Hamas out (see the followup post here) -- but only if after Israel did the dirty work it would hand over control of Gaza to Abbas to create a Palestinian state. Meanwhile there are pundits writing that Egypt was not happy with the idea of Hamas stirring up trouble before the Muslim Brotherhood was finished putting its house in order and strengthening its hold on power -- and Iran is upset with Hamas for jumping the gun and wasting all those rockets. As you probably know, a ceasefire between Israel and Gaza-based terror groups began today 9pm Israel time/2pm Eastern time. Officials hope the agreement will bring an end to fighting that began with Hamas's mortar and rocket escalation against Israeli civilians in October and extended into Israel's Operation Pillar of Defense. Israel enters the ceasefire having had substantial success in its military operations and having showcased the success of its Iron Dome anti-missile defense system. Hamas has seen its weapons stocks, command and control, and their leadership severely degraded and gained nothing. A number of recent Israeli military attacks were aimed at cutting the supply chain into Gaza. In late October, a munitions factory in Sudan was hit from the air. Israel did not acknowledge carrying out the attack, but the winks and nods of officials here make clear that it did. Israel has carried out several other such attacks on Sudan, including on convoys, in the past few years. In addition, Mossad agents killed a Hamas official in a Dubai hotel in early 2010 because he was thought to be crucial to the Hamas supply chain of weapons and rockets into Gaza. One official here said that until Israel ended its military occupation of Gaza in 2005, there were only primitive weapons factories there. The Hamas rockets had a flight capacity of about a mile, they could not be aimed and they flew in a wild cylindrical pattern. Hamas then built better rockets that could fly up to 12 miles. 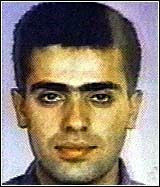 Bronner's reference to the killing of Mahmoudd Mabhouh was not random. Latest Signs In Gaza Of Serious Robust Economy -- Will Gazans Let Hamas Blow It? With the current war between Israel and Hamas, the campaign to portray Gaza as victims has gone into overdrive. Pro-Palestinian apologists would have you overlook the numerous economic successes Gaza has recently accumulated. These successes have been aided both by concrete steps taken by Israel as well as by direct US assistance. Due to the failures of the United Nations, governments and the International community to fulfill their obligation to protect the besieged civilians of Israel, we at ISM have decided to be swift with a modest proposal: we urge people of conscience to come to Sderot to act as human shields in order to persuade the Hamas regime to stop firing their rockets at civilians. Rest assured, our past callous disregard for the safety of our idealistic volunteers has nothing to do with our willingness to now send them out to defend against the wanton lethal attacks unleashed by terrorists against the Israeli civilian population. For nearly a week, Israel has been under attack from terrorist elements in Gaza, primarily Hamas. As the Israeli air force and navy respond with surgical, targeted strikes on Hamas facilities, the government is weighing the possibility of ordering a ground offensive too. In our view, an armored push into Gaza in order to deal the Hamas military wing a decisive blow is necessary. From a strategic, long-term perspective, Israel cannot avoid confronting Hamas head-on, and must take action sooner rather than later. For Israel to restore quiet to its borders and ensure its survival in the new Middle East, Arab governments and terror organizations must feel that it would be a mistake for them to militarily challenge Israel. Israel must demonstrate that even in the face of great political pressures it is strong enough and willing, when necessary, to take vigorous action. What If There Is No Solution To The Israel - Arab Conflict? Yaacov Lozowick notes that among the critics there are Three Ways to be Against Israel. Many political advocacy NGOs active in the Durban strategy, including false accusations during the 2008-09 Gaza conflict, immediately accused Israel of deliberately targeting journalists and the foreign media. As in the past, these statements provided highly incomplete factual information, lacked context, and made allegations of "war crimes" and other legal claims without any evidence. The barrage of rockets Hamas terrorists launch at Israel and Israel's Operation Pillar of Defense to stop Hamas -- this is more than a conflict between two enemies. Egypt's President Morsi is now involved as well. Not just because Hamas sees him as their new protector. Not because Israel expects Egypt to keep their treaty. Beside all of the above, it is in the best interest of Egypt that regardless of the interests of the Muslim Brotherhood, extended violence will hurt Egypt. Whenever the Israel-Palestine conflict is in the news, too much ink is wasted over moralizing rather than analyzing. Instead of trying to explain what is going on, provide proper context, and predict reasonably what might follow, commentators bicker over who has the moral high ground. These endless polemics do nothing to help. A proper analysis should begin by noting that since the start of this year, there has been a significant increase in rocket attacks on southern Israel from Gaza. Operation Cast Lead, Israel's attack on Gaza militants during the winter of 2008-2009, proved to be damaging for Israel's image abroad. There was substantial loss of Palestinian civilian life and the initial Goldstone report accused Israel of deliberately targeting civilians. But the military operation achieved its goal of at least substantially reducing rocket attacks from Gaza. Not only did Hamas refrain from carrying out such attacks, but the ruling group in Gaza also kept in check more hard-line groups like Islamic Jihad. The key to understanding the increase in rocket attacks this year is the internal rivalry within Hamas. Well, we are in the Middle East, at a particularly volatile time in history. Nothing is going to be simple. Hamas's response to our demand for quiet was a barrage of rockets, a barrage that continues off and on even as I write, and which has brought injuries and trauma and destruction of property. What is more, Hamas demanded conditions for a ceasefire -- such as Israel's cessation of the sea blockade --that were totally unacceptable and were rejected out of hand by Netanyahu. Hamas spokesman Sami Abu Zuhri then announced that cease fire negotiations with Israel had failed. It seemed fairly obvious at that point that Hamas wasn't looking for a cease fire. And the ground operation seemed inevitable. After the escalation of the ongoing Gaza conflict last week, several political advocacy Israeli NGOs claiming to promote human rights published highly biased and politicized allegations. As in the past, these NGOs insinuate that Israel is guilty of war crimes and related violations, usually without providing any evidence or proof. Some of the statements reflect core bias and contrast with the silence when Israeli human rights are violated. These Israeli NGOs, including Physicians for Human Rights-Israel (PHR-I), B'Tselem, Gisha, Adalah, Breaking the Silence, and Public Committee Against Torture in Israel (PCATI) are funded, in part, by the New Israel Fund (NIF). Those are tragic numbers -- A 10:1 ratio of 10 civilians being killed in war for every 1 soldier. Mr. Manama was one of as many as 15,000 Qassam fighters who are responsible for most of the rocket blitzes that have blanketed southern Israel and reached as far as Tel Aviv and Jerusalem in the five days since the brigade’s operations commander, Ahmed al-Jabari, was assassinated, experts say. Hamas's human rights violations against journalists have increasingly found the group at odds with civil liberty and human rights groups. The tone was set when Hamas took sole control of Gaza after a bloody coup. Though Israel uses unique and sophisticated battlefield tactics to minimize civilian casualties, Hamas's war crime of storing weapons in civilian facilities inevitably generates casualties. In addition to straightforwardly endangering Palestinian civilians by putting them in close proximity to arms caches likely to draw Israeli fire, the amount of explosives - stored in schools, mosques, hospitals, and even zoos - all but guarantee additional damage. I've alluded to some of this already, but want to return to look in some more detail at the various "fronts" we are dealing with in this conflict. I wrote yesterday about the fact that Hamas fights "dirty," and that we will never lower ourselves to their level. But what we do have to do is contend with that dirty fighting. There are two aspects to this. The first is the use of human shields -- the storage in and launching of rockets from civilian areas, which puts Israel in the impossible position of either avoiding air attack on certain sites or risking considerable civilian damage. This, in spite of surgical strikes, warnings to the populace, etc. "Hamas has turned hospitals, homes, schools, and mosques into military bases..."
Implicit in these debates, still raging on social media, is the assumption that the photos and the tragedies they represent are inherently political. You might find yourself wondering who politicized them first — who is more to blame — but that question, though natural, is in many ways an extension of the same bickering. The accusations of misusing photos to tar the other side, of faking injuries to generate outside sympathy are all part of a wider, shared assumption that the world would feel differently if only everyone knew how badly “we” suffered, and how much “they” are faking it. Fisher's missing the larger point. Yes, there's politics in play here. But why? At around 3 a.m. local time on November 18th, the various BBC reporters in Gaza began Tweeting reports of an Israeli strike on a building which houses the Hamas television station ‘Al Quds’. ...Later, apparently, the building housing Hamas’ other TV station – Al Aqsa TV – was also damaged. ...So what are ‘Al Quds TV’ and ‘Al Aqsa TV’? “Get away! Get away from here! Do you want the Israelis to kill everyone? Do you want our children to die under the bombs? take your missiles and weapons away,” the inhabitants of the Gaza strip yelled at the Hamas militants and their allies in Islamic Jihad. The more courageous were organized and blocked the entrances to their courtyards and locked the doors to their buildings, barricading quickly and furiously the stairs to the highest rooftops. But for all of that the guerrillas didn’t listen to anyone. Is Hamas Again Planning To Exploit Journalists As Human Shields? Activists and officials are calling attention to Hamas trapping journalists in the Gaza Strip, repeating a pattern in the past where the Iranian-backed terror group has used journalists and reporters as human shields and used media facilities for military purposes. In Operation Pillar of Defense, Why Are There More Casualties In Gaza Than In Israel? One of the propaganda points being exploited by Hamas terrorists to distract from their targeted attacks on Israeli civilians is to blame Israel for the casualties resulting from the war that they themselves started. The nature of the terrorist attacks themselves already points to the answer. Hamas has made a number of extraordinary claims in recent days. This IDF video goes through some of them. It appears that our leadership is serious this time around, and that at this point we're doing OK. This is a major operation we're in the midst of in Gaza. THE IMMEDIATE cause of the exploding conflict between Israel and Hamas in the Gaza Strip was a series of attacks by Palestinian militants, including a missile fired at a jeep carrying Israeli soldiers inside Israel, and a rain of rockets against Israeli towns — more than 180 in the course of a few days. Israel could not but respond, and when it did, it chose to deliver a strategic blow: the assassination of Hamas’s military commander, Ahmed Jabari, and airstrikes against scores of sites where the Palestinians had stored a large arsenal of rockets and missiles, including Iranian-built models capable of hitting central Israel. It is noon on Friday and I have scant time to post, and yet I must -- because I am enraged. Enraged because the world does not want the Jewish State to defend herself, all the saccharine declarations to the contrary. The world doesn't like Palestinian Arab dead and doesn't like strong moves by the IDF. The issue must be clear: It is not just a question of Hamas and Islamic Jihad temporarily stopping rocket launchings because that's in their best interest at the moment. It's a question of weakening or destroying their capacity to hit us again when the mood strikes them. Taking out their weapons -- pre-emption -- is defense. What Does Hamas Get Out Of Firing Rockets At Israeli Civilians? An Israeli soldier works on the IDF's Facebook page. (1) The old Arab-Israeli wars were military clashes, the recent ones are political clashes. The wars of 1948-49, 1967, and 1973 were life-and-death struggles for the Jewish state. But the wars of 2006, 2008-09, and now 2012 are media events in which Israeli victory on the military battlefield is foreordained and the struggle is to win public opinion. Opeds have replaced bullets, social media have replaced tanks. Will Israel prevail in arguing that its enemy initiated offensive action? Or will those enemies, Hamas or Hezbollah, convince observers that Israel is an illegitimate regime whose recourse to force is criminal? The war must be fought primarily as amedia event. Test the waters in the aftermath of Barack Obama's reelection. Refute accusations by Palestinian Islamic Jihad that it has abandoned "resistance." Pre-empt Egyptian plans to destroy Gaza tunnels, as Cairo cannot be seen helping Israel in a time of crisis. Technorati Tag: Israel and Gaza and Hamas and Operation Pillar of Defense. How Does the IDF Minimize Harm to Palestinian Civilians? With the beginning of Operation Pillar of Defense and the increasing terrorist rocket attacks from Gaza on Israeli civilian targets, Israel will continue to pinpoint military targets in Gaza: both in terms of weapons and the terrorist leaders themselves. That being the case, the IDF blog has a post that answers the important question, How Does the IDF Minimize Harm to Palestinian Civilians? “We recommend that no Hamas operatives, whether low level or senior leaders, show their faces above ground in the days ahead." A great message. I am reading that Hamas and assorted other terrorist leaders are not to be seen. So we are waging the battle that is understood in all reasonable quarters to be necessary. If you're Hamas, how do you defend the fact that you have been deliberately targeting Israeli civilians with rockets for 12 years? If you're a Hamas terrorist, what do you do when Israel targets you and there are too many of you to hide in the local hospital basement? You make a distraction and change the topic: let's not talk about the 12,000 rockets Hamas fires into civilian areas -- let's talk about the Gazan civilians that we've neglected to build shelters for. No country should have to endure the rocket attacks that Israel has endured from militants in Gaza, most recently over the past four days. The question is how to stop them permanently. On Wednesday, Israel launched one of the most ferocious assaults on Gaza since its invasion four years ago. At least 20 targets were struck and a Hamas military commander, Ahmed al-Jabari, was killed. Israeli leaders also threatened another ground war. Hamas has controlled Gaza since Israel withdrew in 2007. The group has mostly adhered to an informal cease-fire with Israel after the war there in the winter of 2008-09. But, in recent months, Hamas has claimed responsibility for participating in rocket firings, and last week it took credit for detonating a tunnel packed with explosives along the Israel-Gaza border while Israeli soldiers were working nearby. Actually Israel withdrew in 2005; Hamas launched a coup to expel Fatah in 2007 and took over Gaza then. Given that even the editors admit that in recent months Hamas has claimed credit for terror attacks against Israel, why do they cling to the false notion that Hamas "mostly adhered" to a ceasefire? JERUSALEM - The biased responses of human rights organizations to the recent events in Gaza stand in sharp contrast to their prolonged silence in the face of continuous terror attacks against Israelis civilians, said NGO Monitor, a Jerusalem-based research organization. "When it comes to deadly attacks against Israelis, the silence of these NGOs is deafening, while their readiness to condemn Israel without any reliable fact-finding is indicative of a deep anti-Israel agenda," said Professor Gerald Steinberg, President of NGO Monitor. How Did Morsi and The Muslim Brotherhood Pull Of Control Of Egypt? Considering that Egypt's Morsi is likely to play a role in any ceasefire in reaction to Operation Pillar of Defense, posting this article by Daniel Pipes is not off-topic. WT title: "Morsi could discredit Muslim Brotherhood rule"
Earlier this year, most analysts in Egypt assessed Field Marshall Hussein Tantawi as the key figure in that country's politics and President Mohamed Morsi as a lightweight, so it came as a surprise when Morsi fired Tantawi on Aug. 12, 2012. This matters because Tantawi would have kept the country out of Islamist hands while Morsi is speedily moving the country in the direction of applying Islamic law. If Morsi succeeds at this, the result will have major negative implications for America's standing in the region. 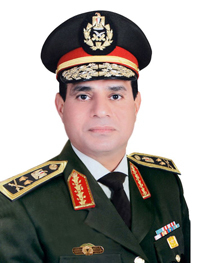 Abdel-Fattah El-Sissi, Egypt's new military boss. There are some people out there who never met a murderer of Israelis they couldn't defend -- that they could not find an excuse for letting them live to kill Jews again and again. The Israeli decision to kill Ahmed Jaabri was total insanity. Jaabri was behind enforcing all of the recent ceasefire agreements. He sent his troops out to stop the rockets and was prepared to reach a long term ceasefire. Jaabri was also the main interlocutor of the Egyptian intelligence service in reaching ceasefire understandings. Now who are they supposed to talk to? Who can expect the Egyptians to continue to mitigate our relationship with Gaza? Now the government and people of Israel will face a massive barrage of rockets and they bought the entrance card to Cast Lead II. God help us all. This is what I will say on London Kirschenbaum on Zissels television. The pro-Palestinian apologists in the media will try to paint Jabari as some kind of "hard-nosed pragmatist"
Who in fact was Ahmed Jabari? “I would say this operation is the Israeli equivalent, Netanyahu’s equivalent, of America’s strike on Osama Bin Laden,” said Avi Benayahu, a former army spokesman. The comparison between Ahmed Jabari is not a superficial one. Besides being the second-in-command of the Hamas military wing, Ahmed Jabari had been called by some the Hamas "Chief of Staff". Lt. Col Avital Leibowich, the official Israel Defense Forces Spokesperson to the international press, spoke to a group of bloggers to update us on the goals of Operation Pillar of Defense.